My heart goes out to the city of Paris, to the victims and families, and to all those affected including the Syrian refugees. Paris holds special meaning for me. With so many places to travel, why go anywhere twice? That’s been my motto…except when it comes to Paris. Because Paris is enchanting, historic, a foodie and artist’s delight. J’adore Paris! I’ve been four times and that has not been enough in my 40 years of life. Thanks to my parents who believed in giving me as many opportunities as possible (while they were bringing lunch to work every day), they funded my first international trip in high school to France and Spain. The trip was chaperoned by my beloved French teacher who was fluent in French and Spanish. Then like other American college grads, a friend and I went back-packing around Europe: France, Spain, Italy and Germany. The most recent time (and hopefully not the last), I accompanied a friend as her guest to a Parisian wedding that was truly epic: a pre-wedding cocktail party with an Eiffel Tower view, the ceremony at City Hall, the church wedding at Saint Sulpice, then the party afterwards at a chateau. I treasure the memories I have of Paris and I can’t help but shake my head at the terrorist tragedy. Why does this continue to happen? What is wrong with these people? What can be done? I think the most important thing we can do is start with ourselves, which is the easiest and also the hardest place to start. Is there peace in my own life? Do I practice self-love? It’s so easy to blame others, point fingers when it comes to terrorism, gun control or violence. But what can I do in my own life now? Beautiful Catherine and I have never been to Paris, but your description alone sounds like it was truly a wonderful place to visit. I’ve never even been. It’s like I have memories in reverse. My heart goes out so truly to everyone affected by this event, and honestly, I think we all are. Well said, Catherine. I’m really struggling with these terror events – my kids are well aware of everything going on. How do you explain it to your kids when you can’t even understand it yourself? 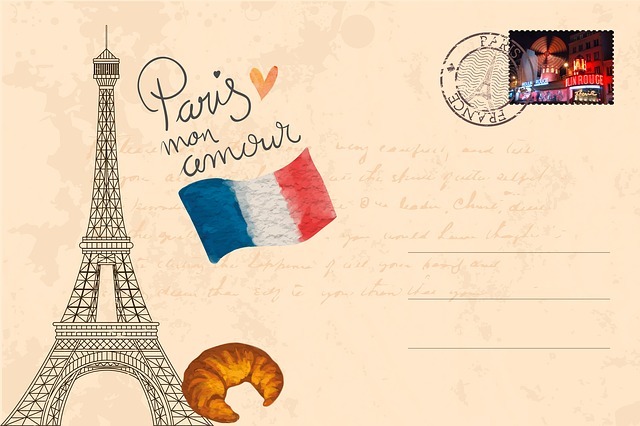 I will go to Paris, too – someday.